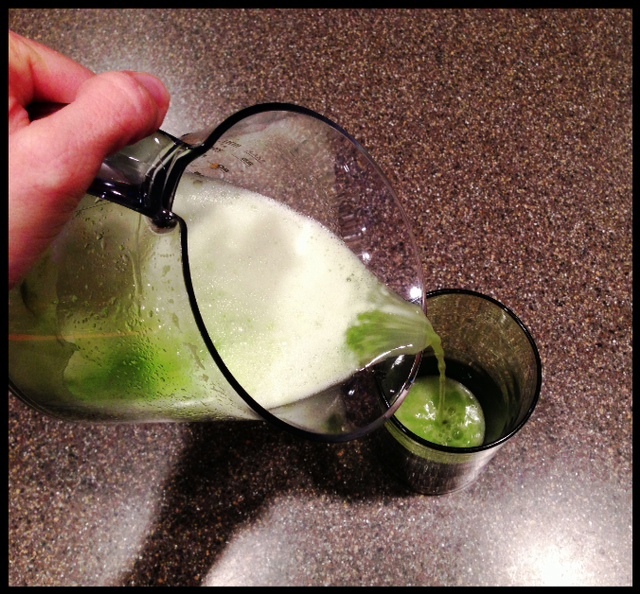 This tasty treat was 2 cucumbers, a lemon and some parsley – JUICED. Pretty GREEN and a great detox drink to help start boosting my liver. Bob Harper’s online group has really saved me from giving up on my workouts this last year. Keeping it fresh with workout plans, and videos for “Living Fit” (one on one session examples) and “TEAM BOB” group workouts. Always great explanations, and usually 15-30 workouts. The library stays on there, so you can access them whenever you’re feeling like something fresh. Personally, I love it. There are also recipes, message boards, and tons of great insight and encouragement. I don’t utilize half of what it entails – it’s worth the investment to me. You do exactly what it sounds like – after a warm up, you start by doing each exercise 10 times, then 9, then 8, etc. So following 10 thrusters, you do 10 renegade rows, and so on… until you’re doing 1 of each rep, and have a cool down. It reminds me of a chipper – but something a little different for the W.O.D. (workout of the day). He has always been incorporating warm-ups of a half mile or mile. I have just been running in place while watching a quick show, or catching up on some news briefly – you really CAN run anywhere. No excuses! I worked out 6 days in a row this week, that hasn’t happened in a while. I even did a longer (hour-long) workout from Bob that I haven’t tried in a few months. I felt pretty good about that, and praised God for the progress He is making in my health. The multiskeletal pain is so much less, it’s insane. I feel like the “bleeding” as far as that is concerned, has stopped from increasing out of control. I know it’s stress, and mineral/vitamin/food related – but I can tell you taking out those inflammatory foods that were wrecking havoc – due to leaky gut – makes me wonder how many people have mega fibro/chronic fatigue/auto immune issues with symptoms from various foods doing the same thing!! that they might touch even the fringe of His garment. Posted on January 12, 2013, in Celiac/Gluten Sensitivity, Diet, Food To Try, Our Struggles and tagged auto immune disease, Bob Harper, celiac disease, chronic fatigue, fibromyalsia, gluten free diet, gluten intolerance, Green juice, leaky gut. Bookmark the permalink. Leave a comment.